apply in Florence, but here it would be too fast, or too thin. and then don't run walk very fast. Today was the show opening, and it was magnificent. pounds. Talk about a memento! 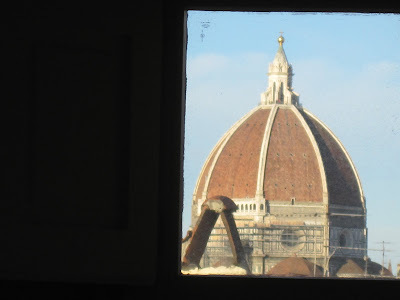 I decided to look at your blog while taking a rest from my art history studying, and coincidentally one of the pictures I was studying is the dome of the Florence Cathedral, which was in your first photo! Kind of neat, I thought. The opening ceremony sounds wonderful, Barbara. It was a really vibrant and very social Club in the past. 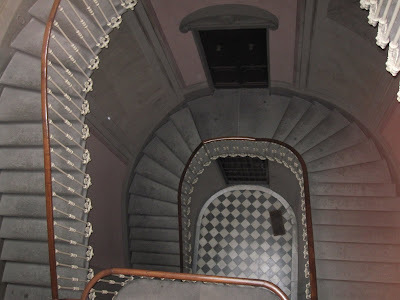 I've never been to Italy so it's really fun to read your stories and look at your pics. I think I've seen that flag twirling thing in Under the Tuscan Sun. Thank you for sharing all this with us - it's so much fun!! I am happy for you. 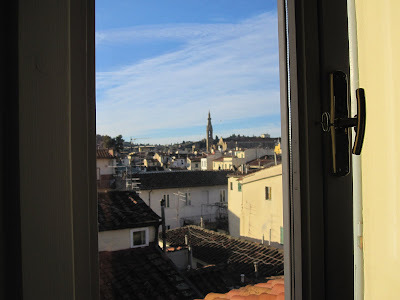 I see the Duomo out my window every day. The bus to the train station takes a round about route past the Duomo several times. You cannot imagine how beautiful the building is from pictures! Gorgeous. Ciao to everyone at the DVAC. Up close it is a whole different thing. You need to come next time.